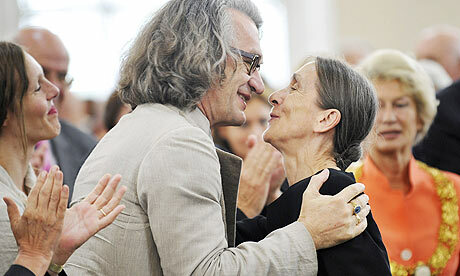 I saw the trailer for Pina for the first time today, the documentary by Wim Wenders about the late German choreographer/dancer Pina Bausch, and it looks absolutely fantastic. Pina sadly passed away just as pre-production had begun on the film, but the director decided to carry on with the project, which now serves as a tribute to her. I have read that some purists balked at the idea of some of her most famous pieces being recreated in outdoors settings but it seems to work really well, and a more cinematographic proposition than merely posting a camera in front of a stage. Wim Wenders has not had much inspiration with his narration driven films lately, indeed his best film of late was another documentary, Buena Vista Social Club so this looks promising. Interestingly, another maverick German director, Wernez Herzog, has gone down the 3D road, with his documentary The cave of the forgotten dreams, about the Chauvet caves in France which holds the oldest known pictorial creations of humankind.